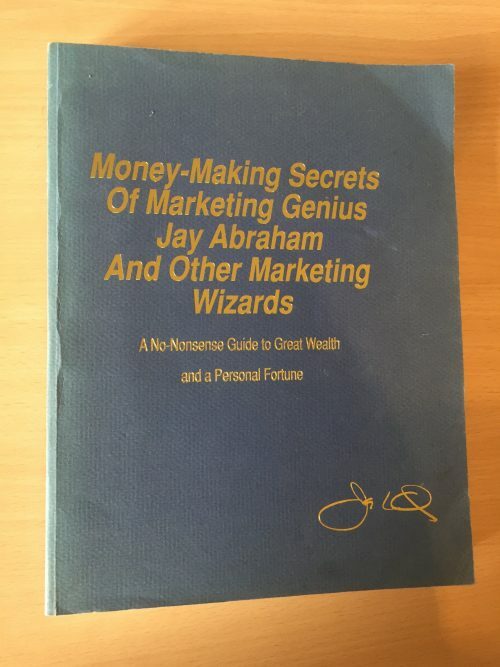 The ‘Grand-father’ of modern direct-response marketing is undoubtedly a chap called Jay Abraham – perhaps you’ve heard of him? His campaigns for Clients over many decades have reportedly generated over $8 Billion in sales (yes, that’s Billion)! THE best money I’ve ever spent on my marketing education! One of my favorite Jay Abraham techniques is what he calls the “ethical bribe” – an irresistible deal on a desirable product or service that a lot of people are interested in. It works well on high-perceived-value products and services. The ethical bribe technique has made Jay’s clients millions of dollars. Crafted correctly, it has never, ever failed to work. The idea is to create an offer that is so shamelessly appealing on a pound-value basis that it’s almost impossible to pass up. It’s surprising that more companies don’t incorporate the ‘ethical bribe’ into more of their marketing activities, given its high likelihood of success. Ironically, most fail to do so because they fear it will cut their profit – an inward-focused assumption that is totally incorrect. The ethical bribe offers a known pound-value product or service – usually with a bonus package – for a dramatically reduced price. For example, a used car selling for £5,000 could be offered with 2-years free servicing, AA membership, 2-years free car-washing, and free insurance – total bonuses with a perceived value of perhaps £1,000. Now that’s what I call a persuasive offer! N.B. It’s important that you provide a believable explanation of WHY you are making this spectacular deal available. You can adapt the ethical bribe to anything you do – just don’t be too stingy with the aggregated value you give your customer. Make the value real, and make the reason you’re offering them such an obvious deal, perfectly clear. The ‘better-than-risk-free guarantee’ is an extension of the ethical bribe. You allow the customer to keep the most valuable bonus or bonuses, even if they ask for their money back. This gives them a “better-than-risk-free” guarantee, because, at the very worst, they come out hundreds or thousands of pounds ahead just for having read and responded to your proposition. Jay used this guarantee with his newsletter subscriptions, and he explained to the readers why he was bribing them. He told them that the money in newsletters is all in renewals. And that though he probably wouldn’t make any money on their subscription until they renewed next year, he wanted to make it very appealing for them to subscribe right now. By adding a better-than-risk-free guarantee to a standard offer, you can increase the response or profit of that offer. It implies that your offer lives up to its promise. By allowing your customers to keep a valuable product or service even if they request a refund, you convey your confidence in your product’s ability to perform to their satisfaction. And by offering to reward your customers for their effort or trouble, the better-than-risk-free guarantee acknowledges their value to you. Admittedly, you will have to pay back slightly more refunds on this basis, but the two-to-three-times increase in front-end response overwhelmingly makes up for the modest increase in refund expense. Whenever you make an offer, ask for a sale, run an ad, have a salesperson make a proposition to a customer or prospect, or offer a product or service for sale at a specific price, always explain the reason why. And articulate your ‘ethical bribe’ so your prospects can clearly see how it benefits them. If your price is low, explain why you can sell a product or service at a lower price than your competitor. Explain why your price is so good. Is it because of your lower overhead or your volume buying? Do you buy odd-lot inventories? If your price is high, again tell the customer or prospect why. Do you offer a far superior product than the norm? Is your product made with demonstrably finer materials? Is your product designed to last or perform two-and-a-half times longer than that of your competitors? Is it handmade? Is it made twice as durable or with three times the personal stitching or handiwork of some machine-made similar product? Play around with variations of the ethical bribe to adapt it to your product or service – for your emails, web pages, letters, social media ads, or sales presentations.